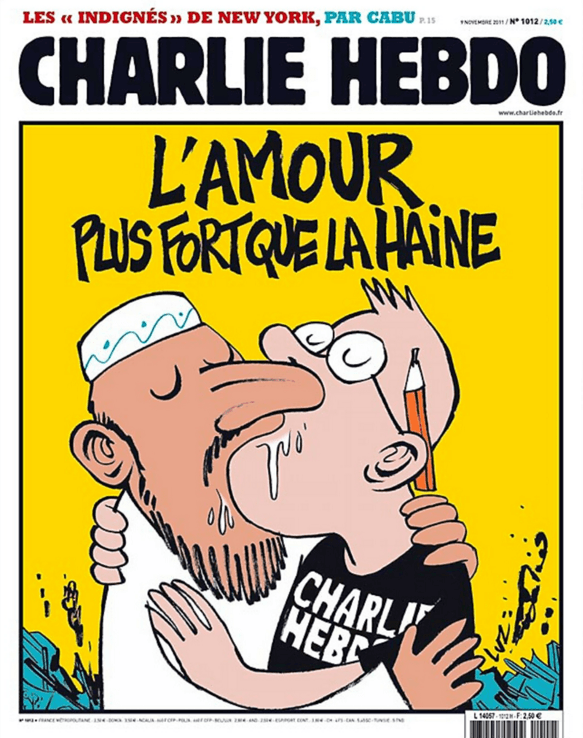 Charlie Hebdo (Charlie Weekly in English) is a French satirical weekly magazine founded in 1970 featuring cartoons, reports, polemics, and jokes. The logo of the magazine uses a font called Block BQ Condensed. Designed by Hermann Hoffman and initially released by Berthold in 1908, Block is a sans serif that is characterized by its distinctive bold characters and very short descenders. Block was a staple for job printing in Germany for decades. In the late 1970s, more weights, including italics, were added to offer more flexibility of the typeface. You can view more details and preview the font family here. In addition to Charlie Hebdo, Block typeface is also used in the following logos, movie posters or album covers etc., including: Hotel California, City of God, Sonic Generations, Road To Hill 30, Praktiker, The Baader Meinhof Complex, Bear in the Big Blue House, Earned in Blood, Catastrophe 1914.